RHP Chad Billingsley (above) has an injured right shoulder, and was added to the 15-day DL by the Phillies. He was scheduled to start tomorrow night in Colorado. He’ll be replaced with RHP Severino Gonzalez, who was scheduled to pitch for the IronPigs on the same night. Seve returns to the majors having won his last start there for his first-ever MLB victory. Billingsley is said to be out 4-6 weeks. RHP David Buchanan has a “severely sprained” ankle stemming from an incident in the game the other day in Rochester. He’s said to be out 6-8 weeks. The Philllies have acquired RHP Chris Leroux from the Brewers in exchange for cash considerations. He was 1-3 with the AAA Colorado Spring Sky Sox over 7 games with one start. His ERA was 8.15. The 6’6″ hurler started 11 games with Scranton last season, and appeared in 2 with the Yankees. His ERA in the IL last season was 4.94. Overall, the 31-year old has 65 games of MLB experience. 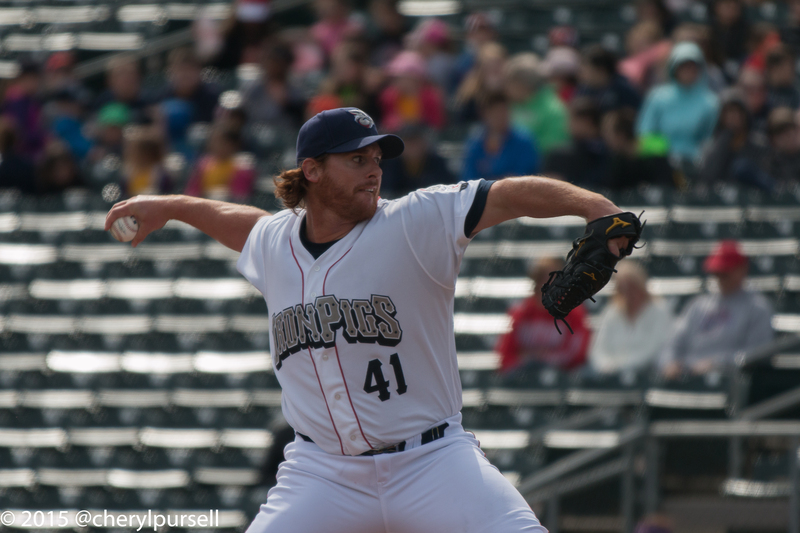 He’s been assigned to the IronPigs and is expected to work out of the bull pen. Note that this rotation has the IronPigs with three consecutive lefty starters: Morgan, Vasquez and J-Rod. See you at the park on Thursday–we’ll have a series preview for Charlotte up soon, as well as a printable roster once the players get home and get assigned their regular numbers.